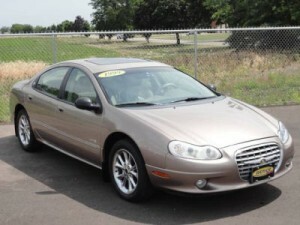 I HAVE A 1999 CHRYSLER LHS THAT I HAVE BEEN TRYING TO GET THE A/C WORKING. I HAVE BEEN TO NUMEROUS SHOPS AND SPENT CLOSE TO A THOUSAND DOLLARS ON PARTS AND LABOR. I FINALLY FOUND SOMEONE WHO KNOWS WHAT HE IS TALKING ABOUT AND SAYS HE FOUND A LEAK UNDER MY DASH. HE HAS NO WAY TO DO THIS HIMSELF. HOW HARD OF A JOB IS THIS, AND HOW MUCH WILL IT COST. If the freon leak is under the dash, then I would assume it is the evaporator core. This is a big job. To have the job done at a local shop will cost you about $900. Even more at the dealership. The entire dash needs to come out of the car. This means all trim panels, steering column, radio, gauges cluster, A/C controls, wiring harnesses, brackets, seats, etc. A mechanic who has done this repair several times may have some short cuts where he can get the dash out in one large piece without removing too much. This will cut down on his time, but the price would be about the same. Expect your Chrysler to be down for at least 2 days. This is a very big repair. The car looks very nice from the picture you posted, so it is up to you if the rest of the car is worth putting the money into. Depending on where you are in the country, cooler weather is coming, so saving up for this may be an option. If this is something you would like try yourself, get a repair manual and look through the procedure to replace the evaporator core and study it. taking pictures along the way will also be a big help. 2 Comments on "1999 Chrysler Freon Leak Repair Cost"
If your car is acting that way, it means your brake caliper is stuck. The piston in the caliper is not going back after you depress the brake. Remove the caliper and remove the piston. You will see a rust or corrosion on it.Clean it with a smooth sandpapper and refit it with an oil. Your problem is solve now. i have a 2006 Chrysler Pacifica while driving the passenger side brake seems to be activating on its own and the releasing at that point the abs light comes on would that be a bad caliper or the abs system is bad. ProTech: Usually that is the sign of an ABS system malfunction. This can occur when one or more wheel speed sensors is operating incorrectly or is broken. I’d recommend get the vehicle scanned for codes so you can see which wheel is causing the problem. Then I would go about replacing that particular hub bearing and wheel speed sensor assembly. That should take care of your problem.